Disability Rights Activist Nick Dupree Fought Alabama For Continued Care : Shots - Health News The activist campaigned to change rules, so that people with disabilities could get nursing care and other support at home past the age of 21, and get married without losing Medicaid benefits. Nick Dupree arrives at the Federal Courthouse in Montgomery, Ala. on Feb. 11, 2003. His success in getting the state to continue support past age 21 enabled him to attend college and live in his own home. 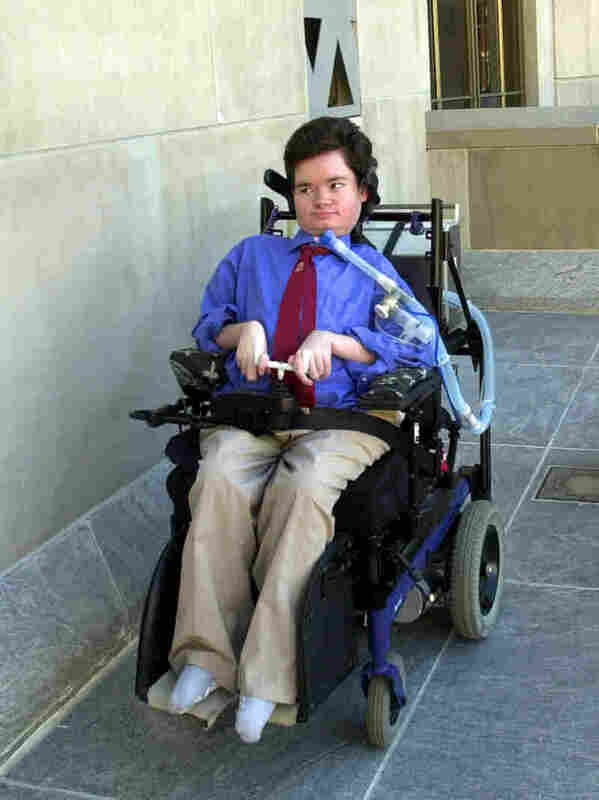 Disability rights activist Nick Dupree died last weekend. Tomorrow would have been his 35th birthday. Back in 2003, he told NPR: "I want a life. I just want a life. Like anyone else. Just like your life. Or anyone else's life." Dupree had a severe neuromuscular disease and was living in Mobile, Ala. He was in a wheelchair and depended on a respirator to breathe. The state paid for nurses to come into his home — even take him to college classes. But that care was about to end the day he turned 21. He faced going to a nursing home, where he feared he would die. Every state has a program that pays for care for severely disabled children to live at home, but not every state continues that care into adulthood. When Dupree was 19, he started Nick's Crusade — an online campaign to change the rules in Alabama. Just a few days before his 21st birthday, he won. In 2008, he decided to move to New York City. "I assisted him moving to New York, which was very, very scary for me," says Dupree's mother, Ruth Belasco. "But, I figured that his joy would outweigh my fear." In New York, Dupree made friends. He went to museums. He could move just the tip of his thumb and his index finger. And if someone placed his hand on a computer track ball, he could draw. That's how he made online comic books that reflected his quirky humor. Dupree created webcomics — occasionally featuring Theodore Roosevelt and zombies — that reflected his quirky humor. 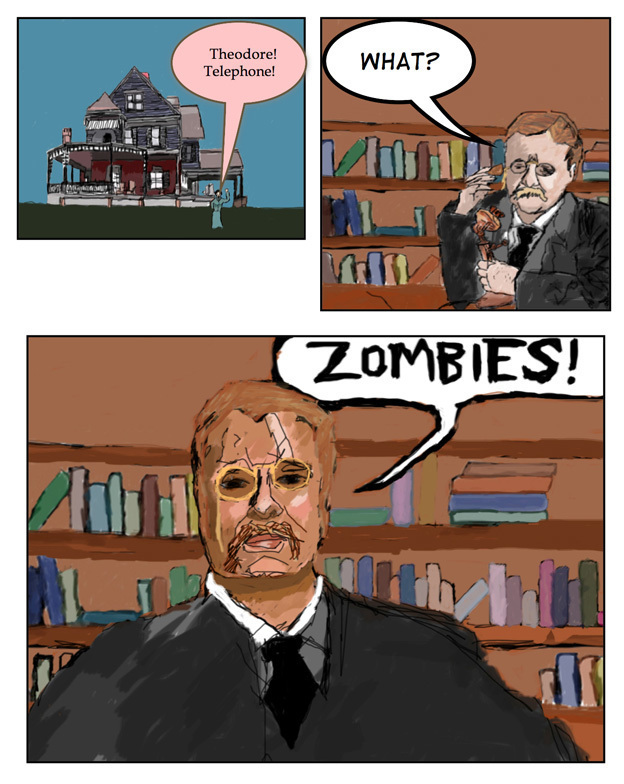 Like Theodore Roosevelt and the Rough Riders versus Zombies. "It was just wonderful that he fell in love," Belasco says. "And it was a wonderful story. And it was something that he always hoped for; [he was a] very romantic young guy and he actually found someone who loved him and he loved in return." He'd met the love of his life — Alejandra Ospina — online. Their wedding ceremony was in Central Park. "We had vows. We had lots of people," says Ospina, who has cerebral palsy and also uses a wheelchair. "There was food. And it was very windy that day, which didn't play well with the ventilators. But it was all right." Still, like many other people with disabilities, they didn't legally marry. If they had, their incomes would have been counted together, and Medicaid would have cut Nick's benefits. "He lived with me in an apartment in the community for seven years and 8 months," Ospina says. She knows exactly because that's how Nick — who wasn't supposed to live past his 21st birthday — counted time. 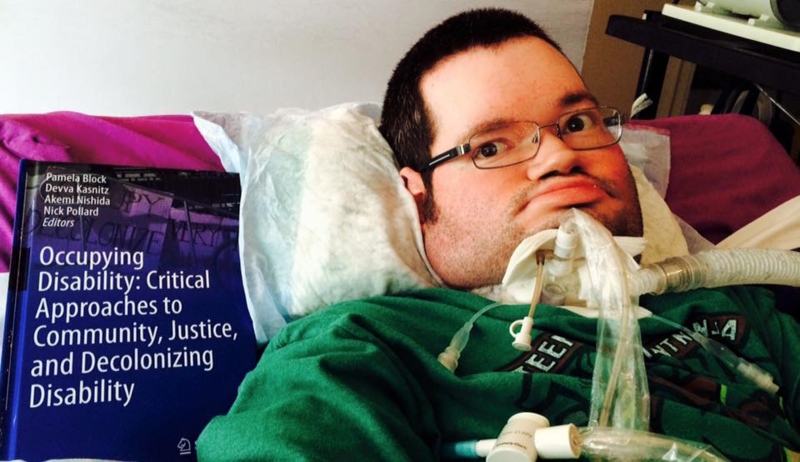 A chapter Dupree wrote about his life and struggles was included in a disability rights anthology. The ending to Nick's story, though, isn't a happy one. The people who loved him ended up feeling helpless and guilty. Providing the round-the-clock care became difficult. When nurses didn't show up for their shifts, Ospina and Dupree would fight over caregiving. They separated last spring and Dupree decided to move to a hospital — the place he'd tried to avoid his whole life. In the past 10 months, he moved between a hospital and nursing homes. He got pneumonia and bed sores. "Each time he got sick again, it would be worse and worse and worse," Belasco says. "And his ability to withstand that just ran out." Belasco says she wanted her son to come home to Alabama. But that wasn't easy. She already cares for his younger brother who has the same disease. She takes the night shift seven nights a week, sleeping during the day. And then last week, Nick fell ill with sepsis and heart problems. He died at a hospital in New York City.